I woke up for the first time in the Vance Miles House on my 43rd birthday. I was looking forward to the peace and quiet of living in a small rural community, but within a few months my husband and I felt like we were living in Amityville…. the one in the book … with the crazy, angry spirits. 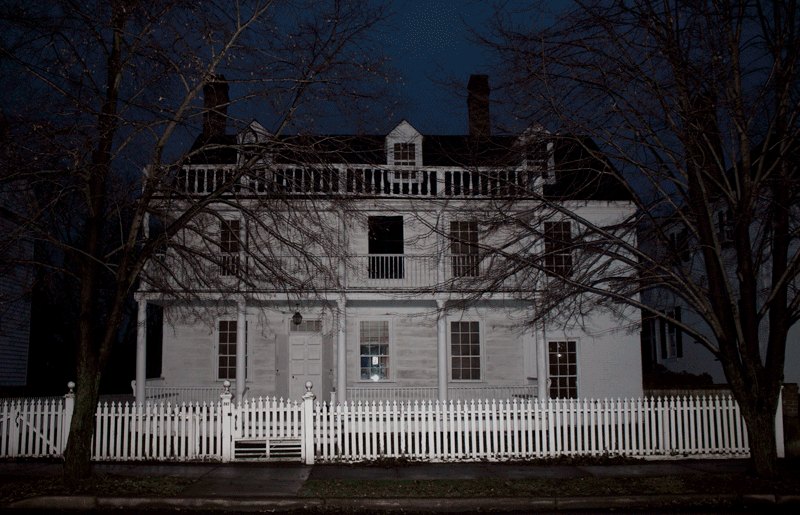 The Vance Miles House is haunted and now after living there eleven years the spirits within pretty much leave us alone — because, according to a few mediums we know, those spirits don’t want us to leave. We did put the house back up for sale nine months after moving into it when we couldn’t stand the drama anymore. A couple came to look at the house and after going through every single square inch, the wife wanted to look at the attic again. We sent her up to attic by herself and waited at the bottom the stairway on the first floor. After about 15 minutes she came down and said that she was chatting with my father (well she assumed he was my father … or Dan’s father) about the attic floor and possible renovations. When she got the “blank stare” from Dan and me whose fathers departed this world years ago, an uncomfortable silence surrounded us. The couple left. We never heard from them again. The strange man in my attic, mirrors that fall off the walls, swinging chandeliers, plates that jump off the sideboard, footsteps, whispers, crashes, voices, and the man who pushes people down our stairway …. all of these things have been part of our life in the Vance Miles House in Marion Station. None of our grown children will stay in the house when we aren’t there. Even the grandchildren won’t go upstairs by themselves and refuse to sleep in the back bedroom where much of the “activity” has occurred. In honor Halloween, I’m opening my haunted house to the public by featuring it on one of eight ghost walks through Eastern Shore towns in October. I’ll invite the guests into the house, share our haunted stories and have the paranormal researchers who studied our house share what they found during an investigation. Also featured during the October ghost walks are Denton (sold out) – famous for the jail that is still haunted by Wish Sheppard, the man who was hanged in the last legal execution in Caroline County. Pocomoke is also on the list (October 5th). 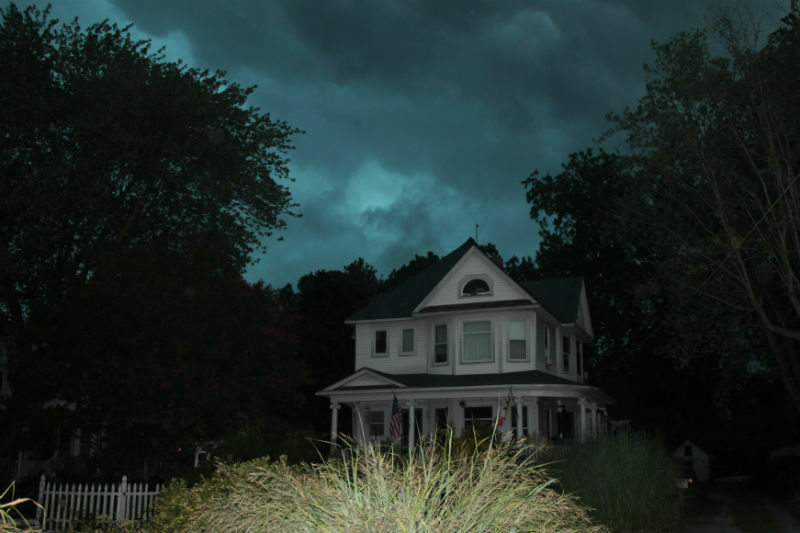 That ghost walk includes a walk into one of the most haunted forests in the state of Maryland. Princess Anne has just been added to the Chesapeake Ghost Walk series and its debut walk will be on October 11th during a weekend celebration in the town. 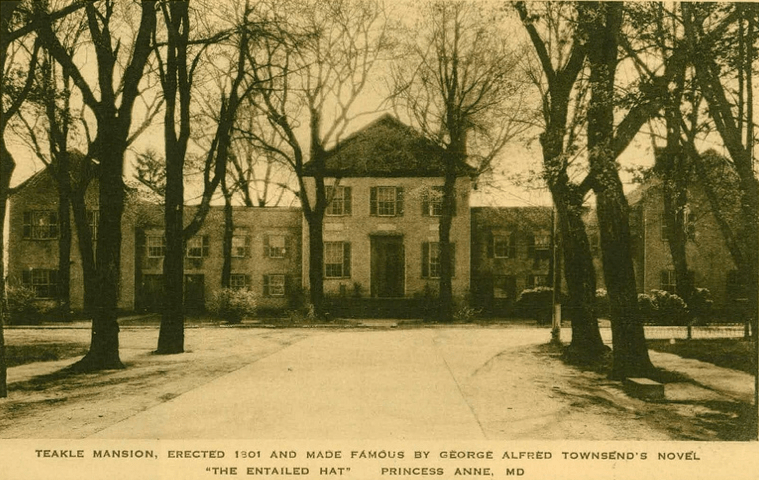 It will feature the Teakle Mansion and the old Princess Anne jail where the tragic last lynching in Maryland occurred. Washington Hotel and the Princess Anne fire station will also be featured. 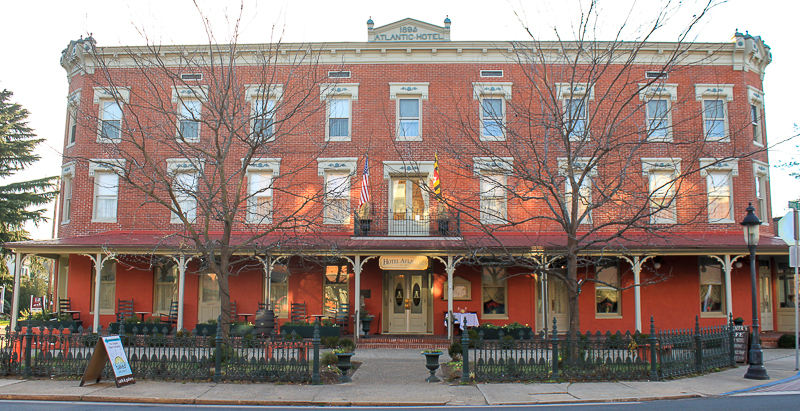 Easton’s haunted Tidewater Hotel with the ghost of its first proprietor, Mr. Grymes is featured on the Easton Ghost Walk as is the Avalon Theater where the spirit of an actress who died and was found in the elevator still walks the halls and, yes … rides the elevator. The Easton is especially interesting because it also features the largest cemetery on the Eastern Shore with over 10,000 graves. It’s haunted by a drummer boy from the Revolutionary war and has some of the oldest yew trees in Maryland. Nothing quite makes the hair on the back of the neck stand up like haunted High Street in Cambridge. There has been one murder and one mass murder in houses on the street, a floating soldier, a soldier with a mission, a very unhappy preacher’s wife and a ruined banker. Cambridge also has a very mystical graveyard on the tour. The Snow Hill Inn is the highlight of the Snow Hill Ghost Walk, but the Governor’s Mansion, the Town Hall and the River House Inn also have amazing ghost stories attached to them. The Snow Hill Inn was featured on National Geographic’s TV network as a haunted site. My favorite of all the ghost walks is still Ocean City, Maryland. The walk starts at the Life Saving Station where a child ghost and the ghost of an old sailor have been seen by both guests and staff. Then tales of Ratcliffe House are shared at the old Indian followed by a stop at the Henry Hotel and the very very very haunted Atlantic Hotel. We cover the block of “bad karma” and then share stories about the Plim Plaza. The walk ends at the Shoreham Hotel – the site of a murder, suicide and accidental death. Paranormal investigators from Pennsylvania found amazing evidence of ghostly activity. 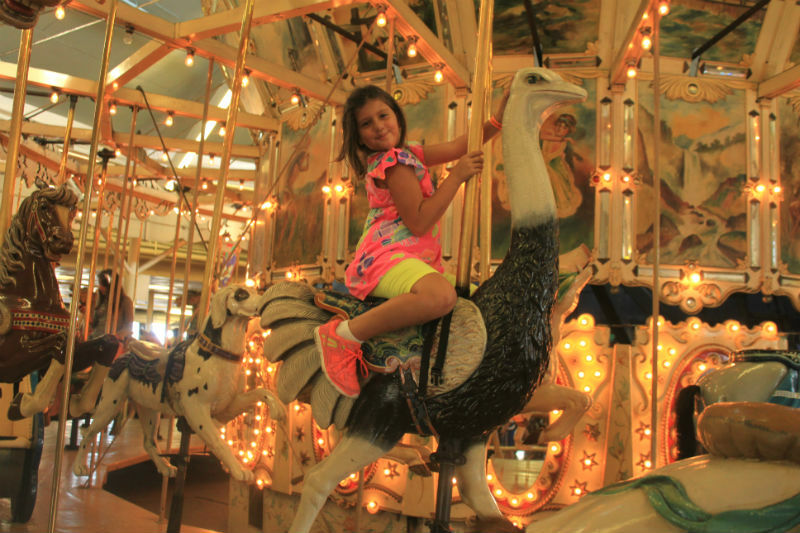 But my favorite part of the Ocean City Ghost Walk is the story about the Trimper Carousel. I have experienced that phenomena myself as has my granddaughter, Gracie. The Berlin Ghost Walk is scheduled for November 1st – just one day after Halloween, and that town has an elemental which showed up in a guests photo image. There’s also two “healing trees” on the Berlin walk, but the Atlantic Hotel is clearly the flagship site. Sheesh – I could do a whole hour on the stories associated with that beautiful hotel. Salisbury and St. Michaels are scheduled for November and December but haven’t been crafted yet. More on those later. Come on out and join me for one these fun walks this month. More information can be found on the Chesapeake Ghost Walk’s page. I have a group that would really like to do the St. Michael’s tour. Is there any way we can set something up? Lisa, I’ll have the new schedule for for 2014 out in a week or two. The St. Michaels walk will happen monthly so there will be plenty of opportunity. It’s turning out to be a great walk. Come April we hope to do 2 walks a month in St. Michaels. So sit tight. We’ll keep you posted. Where do we meet for these tours? That sounds great!! I will keep looking at this site often for updates. We were interested in Denton but Honestly they all sound fascinating!!! Will any of the sold out tours be offering a second tour that night! I read in some cases a later tour at 8:30 may be scheduled!!! Hey Jennifer. We’re not offering second tours this round but these tours will all offered regularly starting in January – every other month for some – every month for others and in the summer even more often. So stick close because we’re going to put some more on the schedule in November – probably Denton, Easton and Cambridge. Which one were you interested in? Thanks for the comment, Rebecca. I agree with you about the Shore being haunted. But it’s a spiritual kind of presence I feel rather than scary. I love that mystical nature of the landscape.